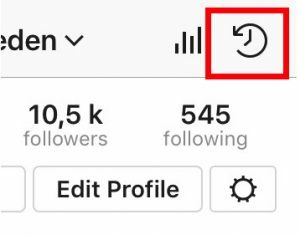 There’s a chance that you don’t know about the Instagram Archive feature. But since you’re here, chances are that you know what it is, but not quite how to use it, and get the most out of it. The truth is that Instagram’s Archive feature holds a lot of untapped potentials and the sad part is that only a handful of Instagram use it. Have you ever deleted a post but then regretted it afterward? With the Archive feature, that won’t be an issue anymore. If you want to hide a post that didn’t perform well, improve the overall look of your feed, or hide posts for any other reason delete a post from the feed, you can now do just that. As a marketer, you want to use every single tool that can that makes your life even just a tiny notch better. The Instagram Archive feature is one of those tools. If you aren’t using it, today is the time to start doing so. 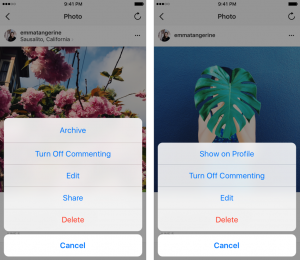 In this article, I’ll dig deep into the Instagram feature called Archives. I’ll tell you exactly what it does and how you can use it. 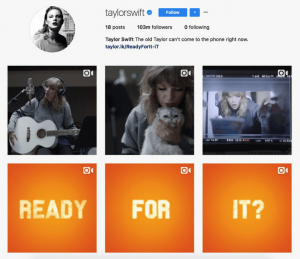 What is the Instagram Archive feature? With that said, Archives is created to let you hide posts from your feed and move them into a tab that is only visible to you. The reason for the feature is that posts in your feed might not be relevant over time. All posts you share might not be evergreen and as a way to keep your feed always relevant no matter how much time pass between the time you post an image. You might, for example, share a promotional post about a sale or a giveaway, and these types of posts generally have a very short relevancy length. Before this update, the only way to hide them from your feed was to delete them, but that deletes all memories with it, including statistics on how well it performed. Now, with the Archive feature, you can hide the post from your feed but still have access to everything around it, preventing it from cluttering your feed, and allowing you to present only the most relevant content. So let’s look at how you can use it. 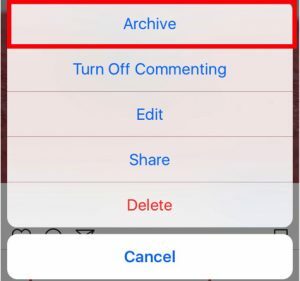 You can archive a post you have shared if you want to hide it from your profile and prevent your followers and other people on Instagram to see it. The best part about this is that all comments and likes are saved with your archived post, as well as your analytics (if you’ve activated it). 2. Tap the symbol with the three dots that is located right above the post you want to archive. When you’ve archived a post, you can choose to show it in your profile again. The post will then be presented at its original place. It will therefore not show up as a new post in your feed, nor in your followers’ feeds. 1. Go to your profile and tap the replay icon with a click in the middle. This is located in the top-right corner of your profile. 2. Tap on the archived post that you want to show in your profile. 3. Tap the three dots above the post and then select “Show in profile”. Note that you can only archive your own posts that you’ve shared from your profile. The best example of this is Taylor Swift. 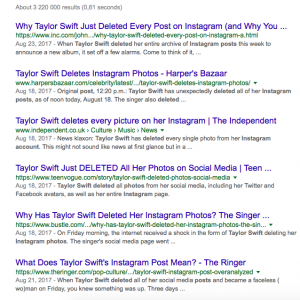 Before the release of her new song “Look What You Made Me Do”, her (or most likely her team) archived all the posts that she had shared. When something like this happens, people know something special is going on and keeps an eye open for what is about to happen. And that’s exactly what happened with Taylor Swift. All the eyes were put on her, waiting with eager for what was going to happen. On top of that, tons of websites and newspapers wrote about her Instagram move, thus further building up the hype and giving her exposure. When you’ve hidden all your other posts, you can be sure that all eyes will go towards your announcement instead of your old content. 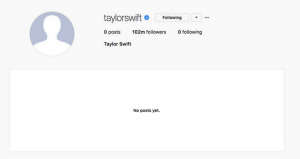 When it was time for the announcement, people who visited Swift’s Instagram page could see that something was definitely going on, sparking their interest in finding out more. Once your launch is done, you can choose to either take the posts back again, or you can choose to keep it that way and start fresh again. Every single post you share on Instagram won’t be evergreen. You might share posts dedicated to a time-limited offer, you might announce a giveaway. Or, products you’ve posted about might be discontinued. These types of posts won’t be relevant forever. The giveaway will end, and your Christmas sale will definitely not go on in January. You might decide to do a complete makeover of your brand and rebrand it. Some people remove posts when their license to use something expires, when employees quit, or when partners are no longer partners of the brand. The bottom line is that every now and then, there are posts that just won’t last time. As a result, hiding them is a good idea to make your brand more relevant to your audience. You don’t want people to ask about a sale that you ran months ago. Yes, you can just delete the post, but why would you want that when you can Archive it? That way, you can go back to your old post to look up something, such as statistics or comments, or just to take a walk down memory lane. Sometimes, you might want to repost a piece of content or share posts that are very similar to posts you have shared earlier. With archives, you can do so without the risk of being repetitive. If you want to repost an image you have shared, archive the old one before doing so! If you’ve already shared posts that are similar to the one you plan on posting, then archive the old one to make it seem fresher. Have you ever shared a post that you just wasn’t sure about? Have you ever shared an Instagram post that you thought wasn’t up to standards but still posted it because you didn’t have anything else? You probably have, and if this is the case, the Archive feature is perfect for you. Take the opportunity to archive any posts that weren’t up to standards, received few likes, or in any way isn’t good enough for your profile. If you’ve done the point above, chances are, you’re guilty of this too. However, if you haven’t done the point above, that doesn’t mean you haven’t done this one. As a brand, you want your audience to see your brands in a particular way. You might want to see them as a fun and engaging brand, or a modern, sleek and minimalistic brand. Whatever the case, you might have shared posts that don’t align with your brand message and the way you want to be conceived by your audience. You might follow a particular theme with posts that have a certain composition, filter, or color palette, and having posts that don’t follow this will negatively affect the theme, message, and feeling you’re trying to mediate. 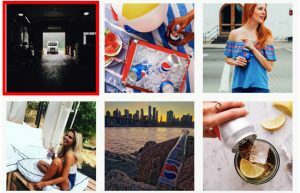 Just look at Pepsi’s Instagram feed.Which post would you remove? I think we can all agree on the fact that Pepsi would benefit from archiving the dark image that doesn’t really align with the happy and bright feeling they mediate with their other posts. Is this a feature that is only available for business accounts? No. The archive feature is available for all users on Instagram. When it was first launched, not all users had access to the Archive feature due to the fact that Instagram hadn’t made it available for everyone. When Instagram releases a new update, they don’t make it available for all users immediately to prevent bugs and if they find any, they can quickly solve it, instead of having all of their users facing it. However, by now, all users on Instagram have access to the archive feature whether you have a business account or not. Can you archive in batches? As of now, you can only archive one post at a time. The Instagram Archive feature is definitely a feature you should give a go and try out. It’s a type of feature that just won’t work for everyone, and it is also a feature that many people will never know about. It’s also a feature that only a small share of Instagram users will use, but those who do will use its full potential. Thre feature allows you to do lots of things, and it can help make your life as a marketer a tiny notch easier. Will you start using Instagram archives? Have you already started using it? What is your opinion on Instagram archives?